Why Did the FDA Recently Ban 19 Chemicals Found in Antibacterial Soaps? The FDA gave companies a year to take triclosan, triclocarban, and 17 other chemicals out of their products. Triclosan is found in about 2,000 liquid products labeled “antibacterial” or “antimicrobial,” which accounts for about 93% of liquid soaps. “Companies will no longer be able to market antibacterial washes with these ingredients because manufacturers did not demonstrate that the ingredients are both safe for long-term daily use and more effective than plain soap and water in preventing illness and the spread of certain infections. The first thing you must understand about germ-killing chemicals like triclosan is that humans need germs. Everyone wants to avoid flu and colds, but there is such a thing as being too clean. Superbugs. As you repeatedly coat your hands in antimicrobial soap, the germs you’re trying to kill mutate and become resistant to the chemicals and eventually get even stronger. Some research suggests that this process is resulting in germs becoming resistant to antibiotics. Instead of getting rid of germs, triclosan-containing products are helping them evolve and become more dangerous. Damage to the heart and body. A study published in 2012 in the Proceedings of the National Academy of Sciences shows that triclosan impairs muscle function in humans, mice, and fish. Exposure to the chemical could eventually lead to heart disease and heart failure caused by reduced contractions in cardiac and skeletal muscles. Even mice that were exposed to low concentrations of triclosan experienced a 25% reduction in heart function within just an hour, which can be deadly or debilitating. It’s useless. 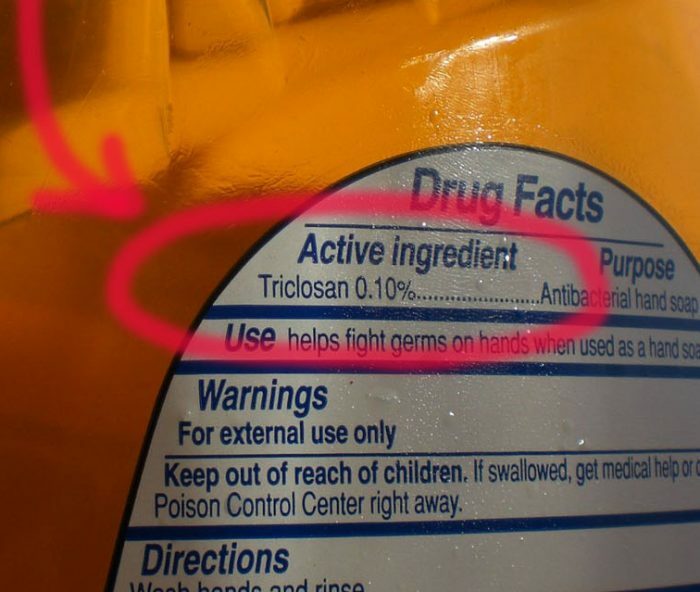 One of the reasons the FDA banned triclosan is that it simply doesn’t work. A study published last September in the Journal of Antimicrobial Chemotherapy found that antibacterial soaps provide no benefit over washing your hands with regular soap and water. The reason why triclosan doesn’t work any better than soap and water is the same reason why some people end up getting sick even when they do wash with soap and water – they don’t scrub long enough. Triclosan cracks open the cell walls of bacteria, killing them. However, it takes several hours to accomplish this, so the average brief scrub doesn’t cut it. In other words, people have been exposing themselves to a dangerous chemical, but without using it long enough to effectively kill germs. There is also evidence to suggest that triclosan may be a hormone disruptor, and may contribute to breast cancer. The FDA’s proposed rule only affects hand soaps and body washes. Toothpaste is exempt, because studies have shown that triclosan is effective at killing the germs that cause gum disease.